What will my shareholders see? By default, anyone invited into your Gust Equity Management account can see nothing. Only as you increase permissions, or share the cap table or documents will they be able to access more information. Because they've had documents shared with them, the documents section is available with only their documents for viewing and downloading. Every account has a messages inbox for receiving messages, though only company admins can send messages. Like the employee above, this investor has had grant documents shared with them along with a personal view of the cap table. They'll have capital contribution and share data, and selecting any transaction will reveal the data behind that transaction (e.g. terms, rights, etc). The fully diluted percentage is the same optional display as with the employee, and defaults to not being displayed. The documents available to them will only be what has been specifically shared; only company owners can see all documents by default. 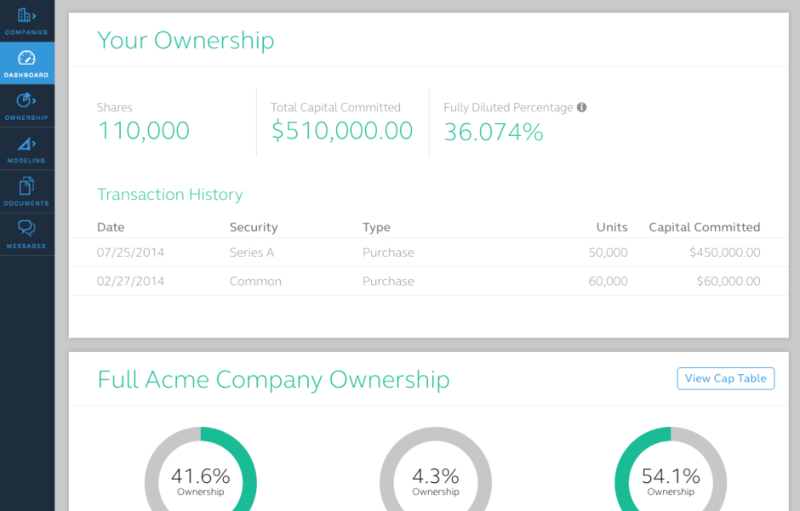 This investor has been given full cap table access, so in addition to their investment details listed on the dashboard they have two additional sections available: ownership and modeling. 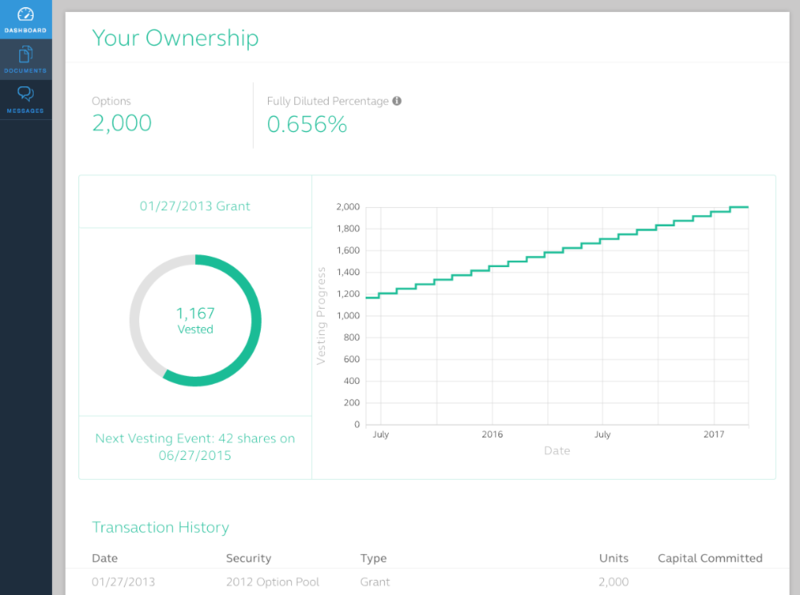 When viewing the ownership pages, they will have read-only access to all transaction data and will not be able to edit data or share it with others. As is true with all invited accounts, they will still have access to only documents shared specifically with them.